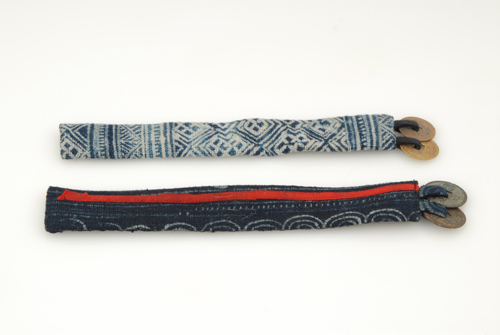 Description: This bookmark is made from traditional Vietnamese batik fabric with two coins attached at one end. This could be a very meaningful and affordable gift for someone special. 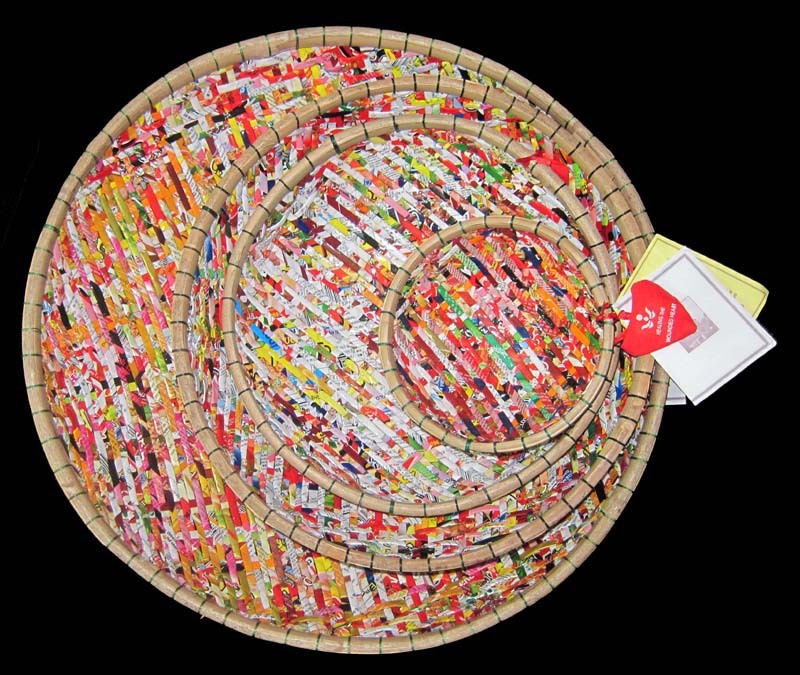 All net proceeds from the sale of this item returns to The SPIRAL Foundation and Office of Genetic Counseling and Disabled Children (OGCDC) to fund medical aid in Vietnam. 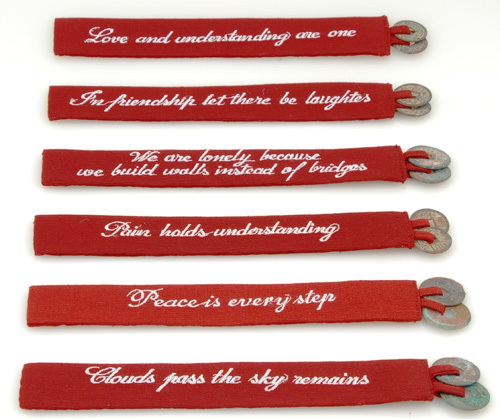 Description: This bookmark is made from traditional Vietnamese raw silk with two dangling coins and a hand embroidered message. This could be a very meaningful and affordable gift for someone special. Comes in red or orange. All net proceeds from the sale of this item help fund heart surgeries to poor children in Vietnam through OGCDC (Office of Genetic Counseling for Disabled Children) at Hue University of Medicine and Pharmacy, Hue, Vietnam. 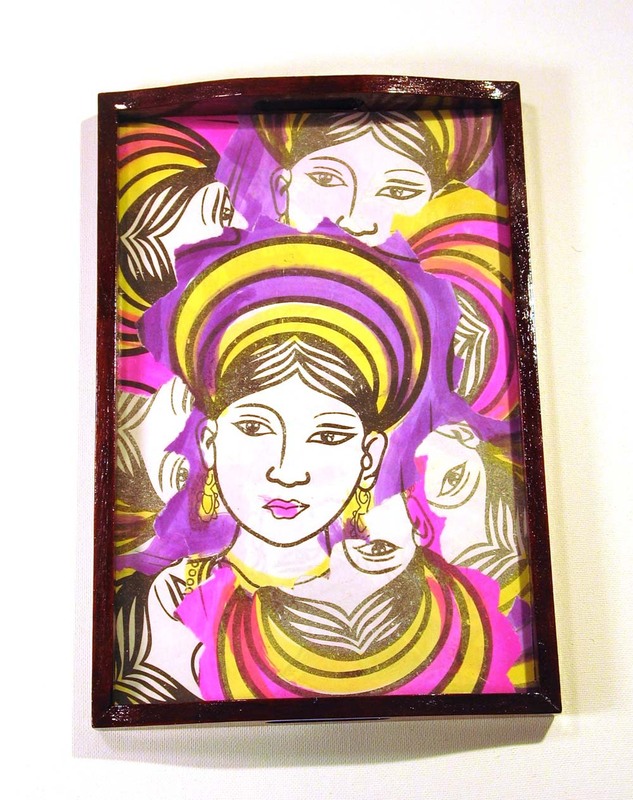 Description: Ornate double picture frame is made with recycled soda/beer cans in assorted colors: silver, gold, blue, magenta, red and green. 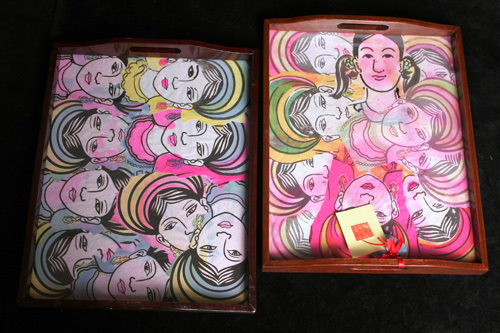 Insert your own photographs in this beautiful recycled can frame. 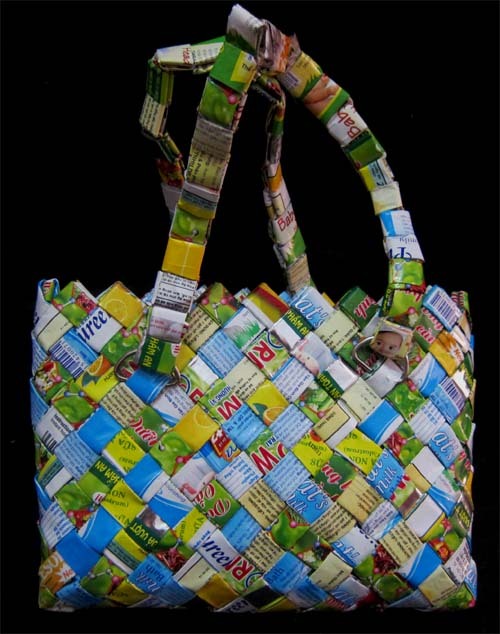 Comes in recycled water bottle pouch. A perfect gift! All net proceeds from the sale of this item fund medical programs of OGCDC (Office of Genetic Counseling for Disabled Children) at Hue University of Medicine and Pharmacy. Description: Beautiful ornate single picture frame is made with recycled soda/beer cans in assorted colors: silver, gold, blue, magenta, red and green. Insert your own photograph. 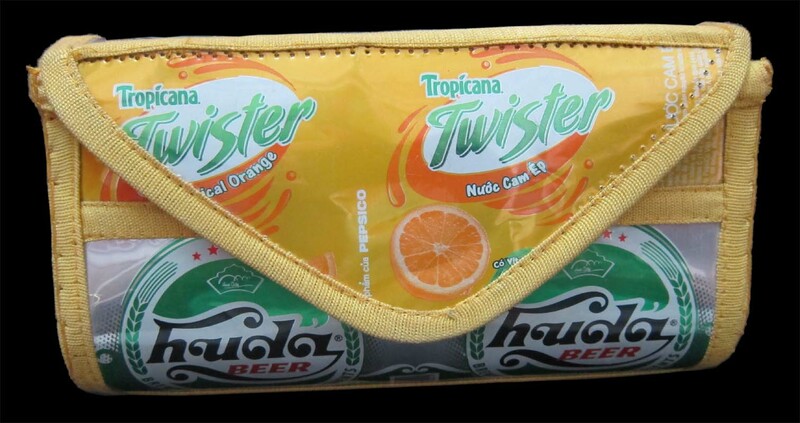 Comes in a recycled water bottle pouch. A perfect gift! All net proceeds from the sale of this item fund medical programs of OGCDC (Office of Genetic Counseling for Disabled Children) at Hue University of Medicine and Pharmacy. Description: Made using recycled soda/beer cans, this rectangular picture frame is an eye-catching way to display favorite photographs with style and originality. Made with Soda/Beer logos and colors. 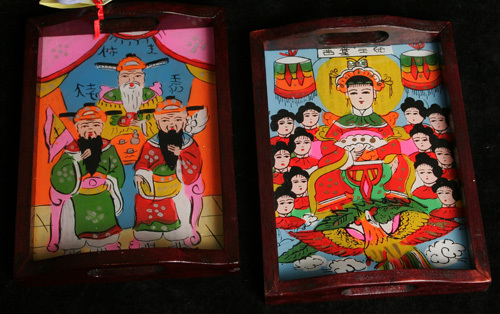 Dimensions in inches: 7 x 5 ½ inches. 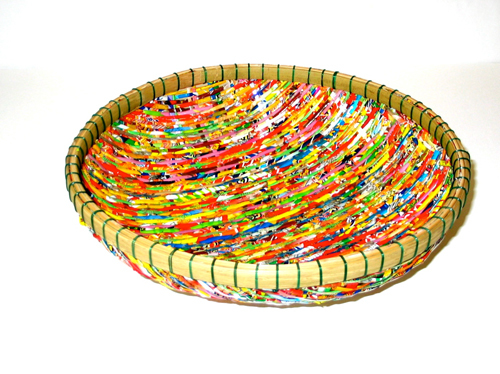 Made by young disabled artisans at The SPIRAL Foundation Workshop in Hue, Vietnam. All net proceeds from the sale of this item fund medical programs of OGCDC (Office of Genetic Counseling for Disabled Children) Hue University of Medicine and Pharmacy, Hue, Vietnam. 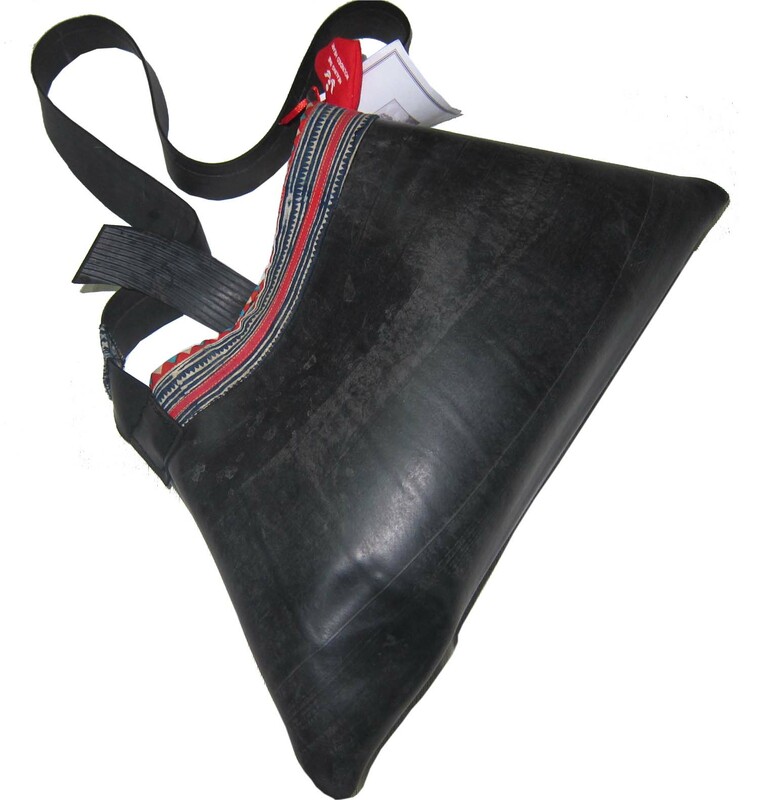 Description: This tire bag will surely become one of your favorites. 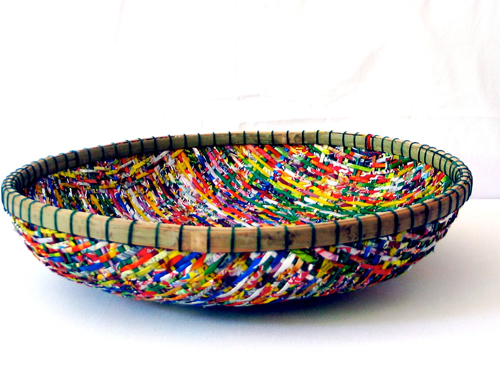 It is handmade at Healing The Wounded Heart Shop in Vietnam using tires. All net proceeds from the sale of this item returns to The SPIRAL Foundation and Office of Genetic Counseling and Disabled Children (OGCDC) to fund medical aid in Vietnam. Description: This wallet will surely become one of your favorites. 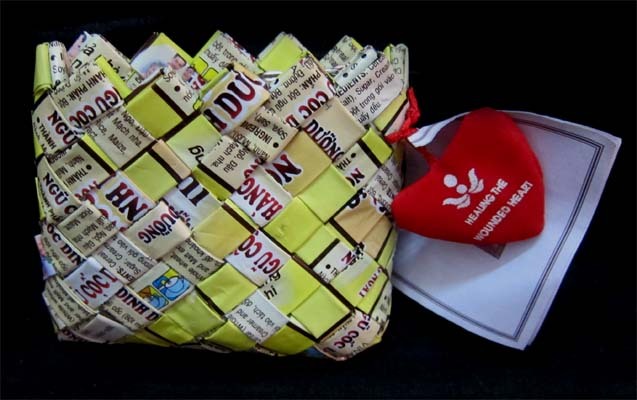 It is handmade at Healing The Wounded Heart Shop in Vietnam using wrapper. All net proceeds from the sale of this item returns to The SPIRAL Foundation and Office of Genetic Counseling and Disabled Children (OGCDC) to fund medical aid in Vietnam. Description: This stylish bag will surely become one of your favorites. 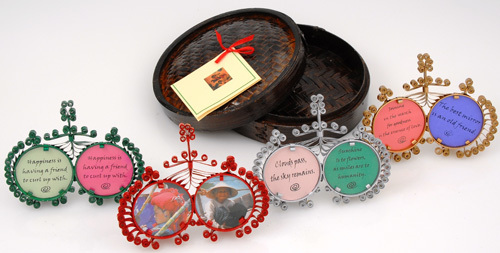 It is handmade at Healing The Wounded Heart Shop in Vietnam using wrapper. All net proceeds from the sale of this item returns to The SPIRAL Foundation and Office of Genetic Counseling and Disabled Children (OGCDC) to fund medical aid in Vietnam. 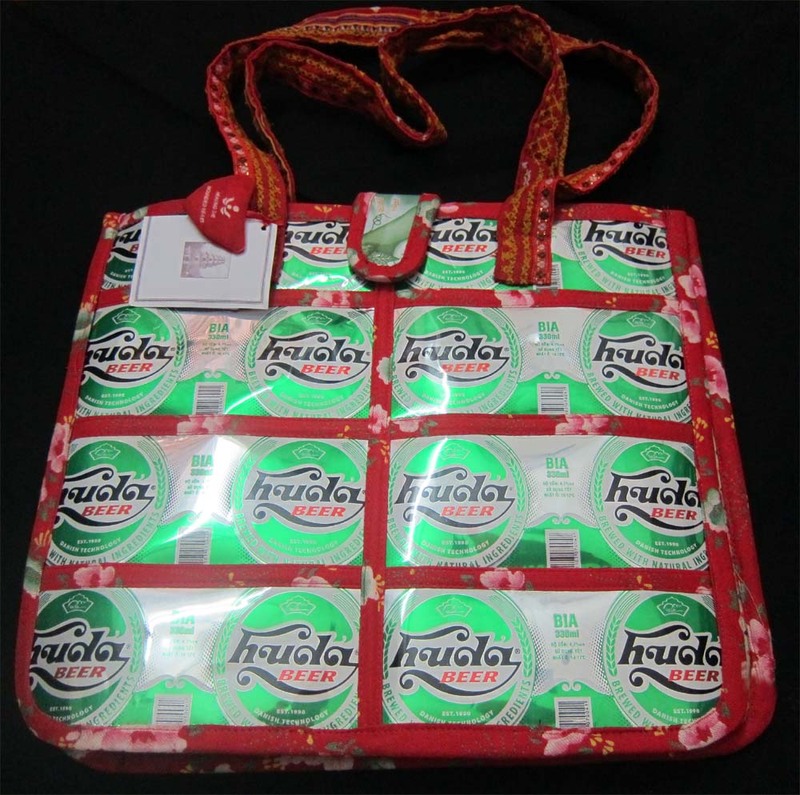 Description: This stylish bag will surely become one of your favorites. 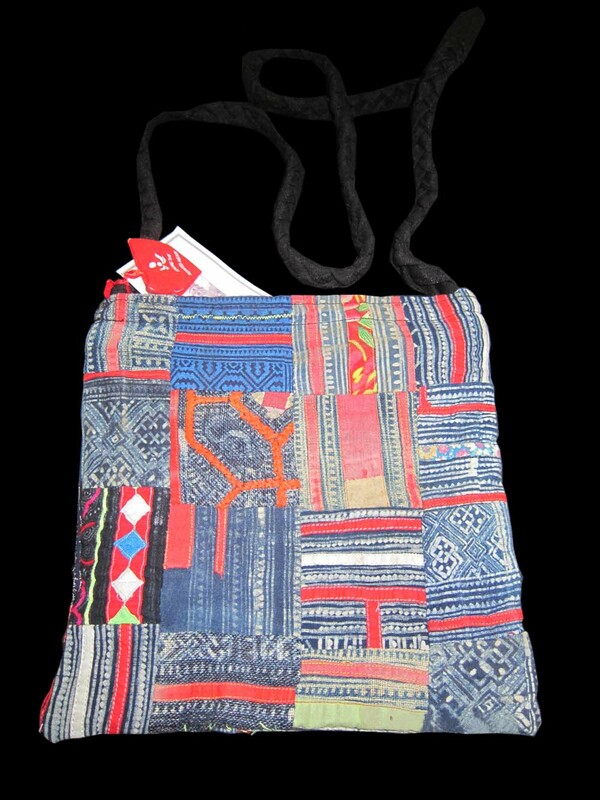 It is handmade at Healing The Wounded Heart Shop in Vietnam using a variety of colorful fabrics traditionally used in the clothing of the H'mong, one of the most disadvantaged tribal populations of Southeast Asia. The bag has a center compartment with a zipper closure. All net proceeds from the sale of this item returns to The SPIRAL Foundation and Office of Genetic Counseling and Disabled Children (OGCDC) to fund medical aid in Vietnam. 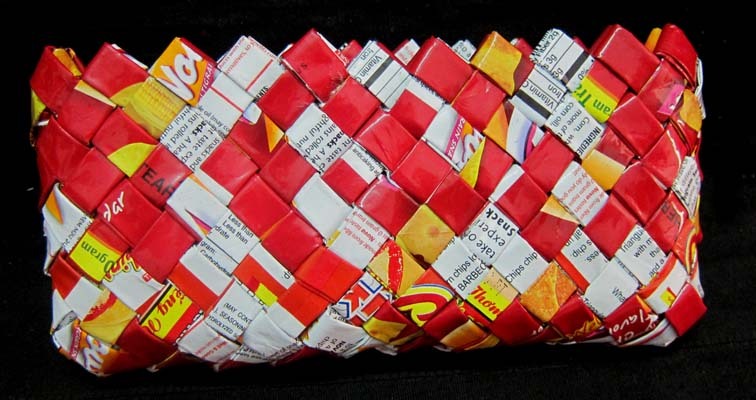 Description: This bag will surely become one of your favorites. 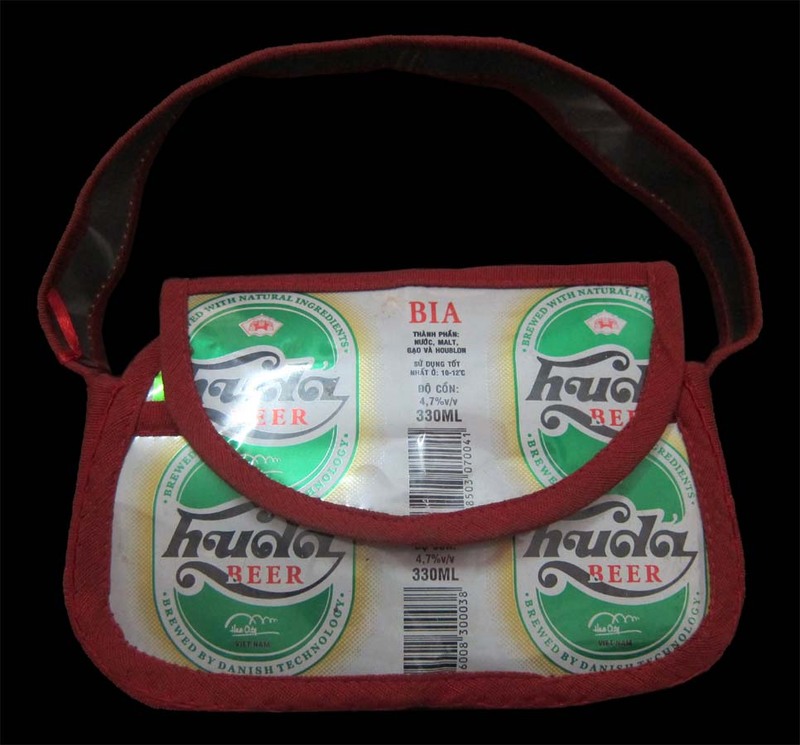 It is handmade at Healing The Wounded Heart Shop in Vietnam using recycled cans. All net proceeds from the sale of this item returns to The SPIRAL Foundation and Office of Genetic Counseling and Disabled Children (OGCDC) to fund medical aid in Vietnam.